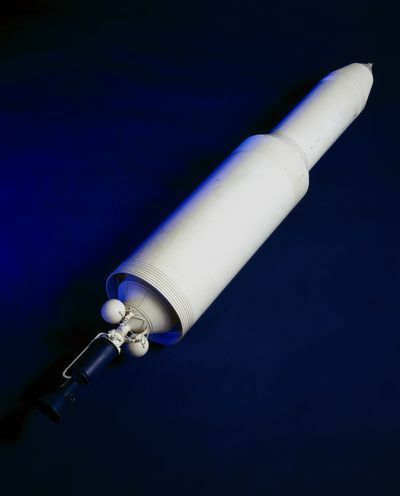 A model of a nuclear-powered rocket that uses fission to generate propulsion. 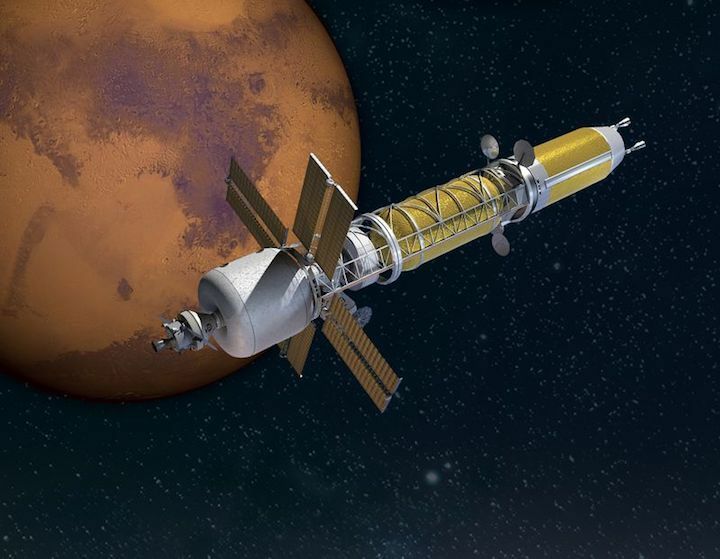 An artist’s rendering of a spaceship with BWXT's nuclear-powered rocket. 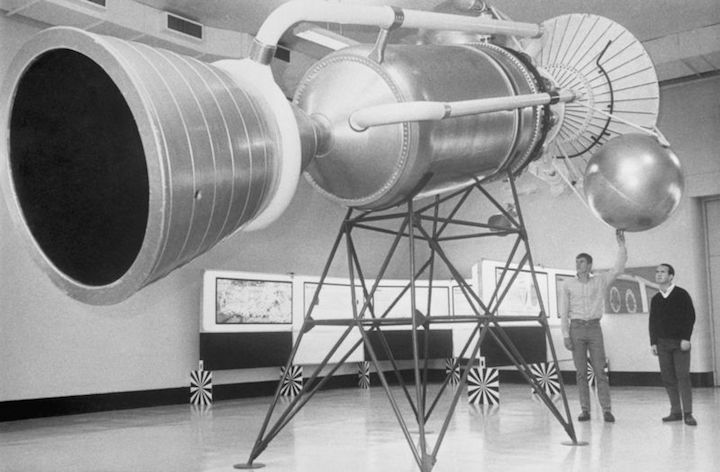 Source: BWXT Nuclear Energy Inc.
A mock-up of a full size Nuclear Engine for Rocket Vehicles Application, or NERVA, in 1967. Source: NASA, BWX Technologies Inc.